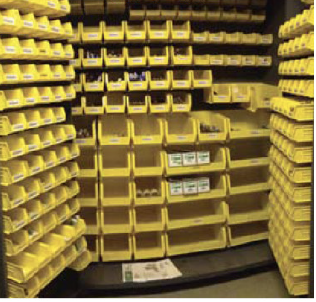 CED can provide a complete barcoded solution for effective inventory management of your warehouse stocked materials. 1. We will analyze and document your current inventory to identify on-hand material, current quantities, obsolete material and opportunities for consolidation of duplicate items. This initial discovery list is the foundation of your material data base. 2. We will organize your material following the 5S principles of Lean Manufacturing. Material will be put into bins or the most effective storage solution. Labels will be put on each bin identifying the material by: Part Number, Description, Min and Max Quantities, a Barcode and your internal part number if available. 3. On a weekly basis, our dedicated VMI Specialist will come to your facility and scan the bins for replenishment. 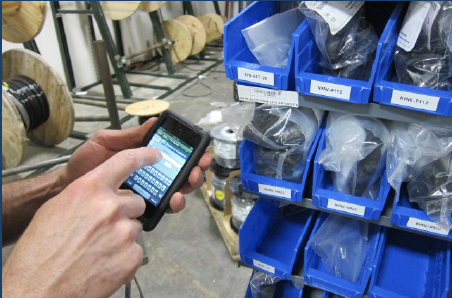 The information is uploaded from our barcode scanner into our business system which generates a quote. The quote is emailed to you for review and approval. This step of the process allows you, the customer, to have visibility and control over the re-ordering process. In the event you need to scan material out of your warehouse to a specific job code or machine cost center, we can provide you with a scanning device for your personnel to use. The scanning device uses standard Microsoft technology and is available with a Wi-Fi connection. There is no need for an internet or VPN connection. We will provide you with information on your current inventory dollar value, what is being used, what isn’t being used and your min/max levels. Having this information will help you make informed decisions. 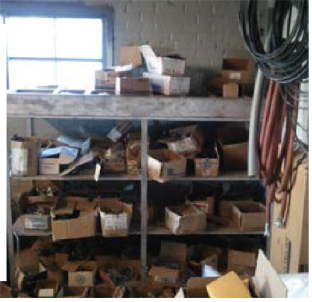 You will determine if any material needs to be removed from your inventory or if stocking levels need to be modified. We follow ISO documentation guidelines and prepare a site-specific book for each customer we service. Although we have documented processes and procedures, we have the flexibility to customize these based on your requirements. By providing these documents, we ensure that the process is consistent, repeatable and approved by you. Optimize your supply chain with optima I savings. Together, we can develop a sourcing strategy and strategic alliance that meet your needs and identify areas of cost that can be impacted. The concept of Supply Chain Management is not a new one. But as technology and education awareness evolves, so does our ability to provide a successful tool to manage our customers’ supply chain. Every product that is supplied represents the efforts of multiple processes or organizations. Rather than just “supplying you with a part”, we understand and document all transactions needed to coordinate these activities. Effective supply chain management is the purposeful, coordinated and ethical monitoring of strategic suppliers. points in the supply chain. We can provide job trailers for your next project. our job trailer services will help optimize space and savings on your project. We will customize the trailer to provide specfically to your material needs. We leverage your material forecast for project costing based on the total bill of material. As a partner with world class vendors, we work with them to hold pricing throughout the life of the project. All pricing is communicated to you up front. We will work with you up front to determine what items are needed and quantity levels that need to be stocked on the shelf. We will track your usage and replenish the material based on min/max levels determined by you. On a regularly scheduled basis, our VMI Specialist will come to your site and scan the bins for a replenishment order. Replenishment orders are sent to you for approval -you retain total control of the process. Once approved, we will deliver material and put it away in the appropriate bin or storage area. Material and inventory levels can be changed as the job progresses. We can work with you to set up the material in phases. When phase I is done, we can remove that material and move on to phase II and so on until the job is complete. In remote locations, the information and stock level awareness is typically limited to the location itself. We can provide a system to track your material usage by job number, location or other controls you’d like to put in place. Although we have documented processes and procedures, we have the flexibility to customize these based on your requirements. We will work with you to determine the best inventory management arrangement that fits your situation. • Minimize or eliminate left over material at the end of the job. 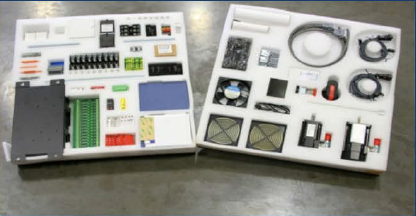 Let us assemble your components for you! Kitting makes it possible for employees to have all components for a machine or job grouped together and assembled by us. In the world of installations, production and manufacturing we are always looking for more efficient ways to provide material. 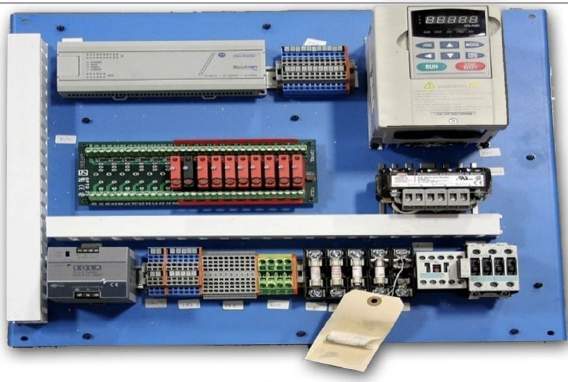 Kitting can provide this solution to improve production uptime and quality, reduce total cost per install, build or maintain schedule, improve personnel resource utilization and create a higher quality of work. Kitting requires a well-planned and functional schedule. Just the task of going thru identifying kit components is the first step in process improvement. This step provides value in relation to time spent or lost looking for parts when you need them. Imagine having what you need at your fingertips! If you’re not sure if a kitting solution would work for you, we’d love to work with you to go thru and identification process with you to identify any cost saving opportunities available.